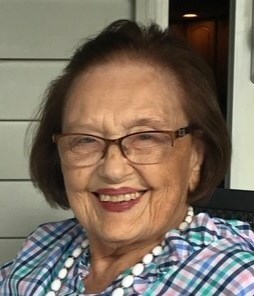 Arnette Priver Tober, of Bethel Park, passed away on Thursday, January 17, 2019, age 91. Arnette was born September 12, 1927 to Olga and Richard Priver in Cleveland, Ohio. She married Edward Tober and together they had 3 children. She enjoyed taking care of babies and children, was a phenomenal baker and enjoyed sewing and knitting. She was extremely dedicated to the Church and was very involved in all it had to offer: sunday school teacher, youth group, choir and ladies guild. She also LOVED to laugh! Arnette is preceeded in death by her husband Edward and sisters Raenelle Klein and Laudine Schwartz. She is survived by her children Daniel Tober, Elizabeth Tober Cooke and Robyn Herchelroath, her grandchildren Brianne Taylor, Dane Tober, Jayson Tober, Jessica Tober, Caitlin Cooke, Nicholas Cooke, Vic Williams, Tyler Williams, Melody Williams and Aaron Williams and her great-grandchildren Taylor and Haley Wojtseck, Madeline Tober and Evangeline Williams. Arnette was a wonderful, loving human being and will be missed on earth, but heaven is blessed to have her. Visitation will be held Wednesday 2-4 & 6-8 p.m. at the David J. Henney Funeral Home, 6364 Library Road (RT 88), Library. Funeral service will be Thursday at 11:00 a.m. in Ruthfred Lutheran Church, 3401 South Park Road, Bethel Park.